Oven mitts are an essential part of the safe and the hygiene cooking operation. 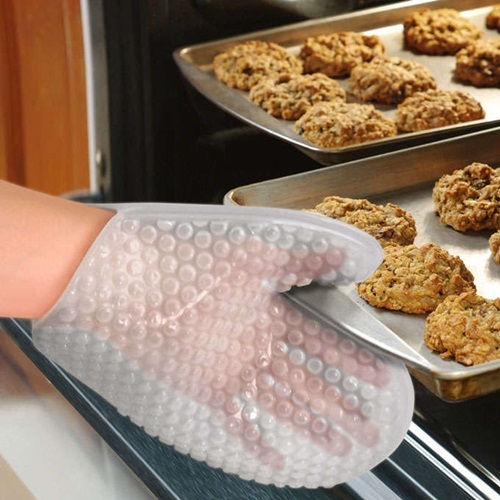 They are very practical because they will enable you to remove trays and pans safely from the oven and to hold the hot utensils away from the heat. 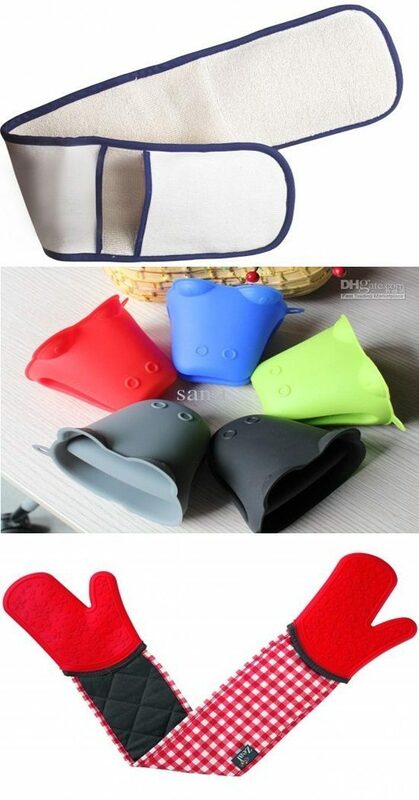 Thus, you will need to choose carefully the suitable size, color, material, and design of your new oven mitts. Oven mitts are made of different materials to give you a wide range of choices according to your taste. You can find the silicon oven mitt. It is water proof, easy to clean, withstand high temperature degrees, and flexible. You can find this mitt in different colors and designs such as a dog’s or frog’s head. You may need its ridges to support your hands while holding any hot and heavy item. The silicon mitt may reach your elbow or be a mid-arm. There are quilted oven mitts covered with silicon spray and fabric insulation inside. You can find other kinds of practical and luxurious oven mitts such as the resilient knitted Kevlar cotton that is equipped especially to resist the heat. This kind of mitts has a unique nylon layer inside to give your hand the utmost comfort and a Teflon layer to serve as a water and stain resistant. You may opt for other mixed materials mitts like the durable cotton twill, the quilted cotton oven mitts, and the hemp mitts. 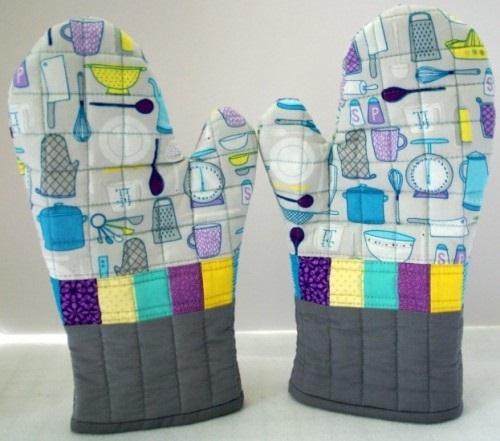 There are different designs of the oven mitts such as the cherry patterned mitts, cherry cupcake mitts, and the brown and pink dots polka mitts. These designs of mitts have long arms, non-slip grips, ultra hygienic exterior, and easy to clean materials. Just choose the mitt that will fit perfectly your hand with the color and design that will match your apron and kitchen design.